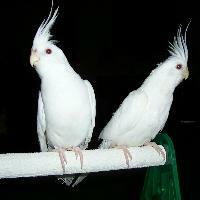 Cockatiels have a distinct crest that expresses the animal’s emotional state. It is dramatically vertical when it is startled or excited. They have different colour mutations including grey, pied, pearled, cinnamon, whitefaced, lutino, albino. Azad Offset Printers Pvt Ltd.